Scrapping you junk car is easier than ever before because there are more businesses and organizations willing to buy or take your car as a donation. Just 20 years ago, most people had to pay for car scrapping. Recycled steel prices have risen with new demand from developing nations, however, meaning that junk car removal companies can usually cover their towing costs and offer a few bucks for cars in virtually any condition. Add to that the fact that hundreds of national and local charities have essentially entered the car scrapping business. 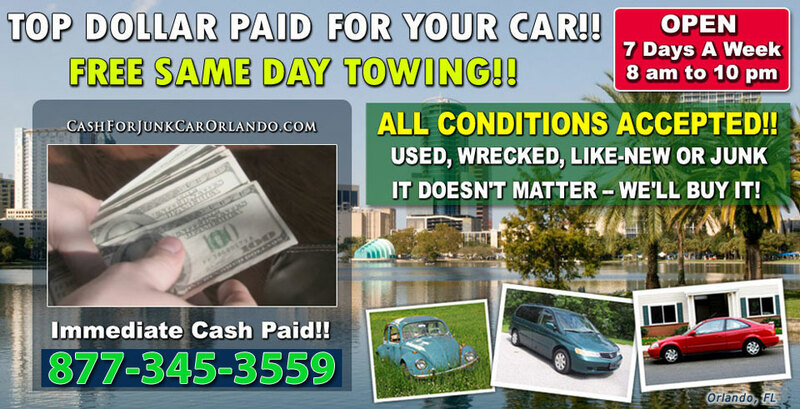 They normally partner with an existing junk car removal and/or scrap metal business, and then the charity serves as the marketing arm for the operation, blanketing the web and radio with offers of free towing and a tax deduction. Whether you go to a traditional car scrapping business or ask a charity, make sure you make a bit on the deal. Shop around for the best offer from car scrapping companies and/or make sure that the charity you choose can provide a tax deduction. Changing demand for scrap steel and our increased focus on recycling means that you no longer have to pay to get rid of your junk car. You should get paid for scrapping your car. Car Scrapping For Cash Now!